Kyla holds a BSc (Hons) degree in Safety, Health and Environmental Management and is a graduate member of The Institution of Occupational Safety and Health (Grad IOSH). She also holds a Level 3 Fire Safety Risk Assessment and Control Certificate, awarded by the Chartered Institute of Environmental Health (CIEH), a Certificate in Accident Investigation and a Level 3 Award in Education and Training. 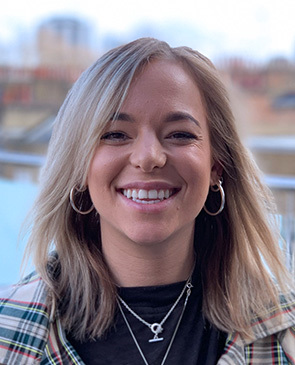 Already an experienced consultant before joining System Concepts, Kyla’s previous consultancy work saw her working across the UK retail, commercial, hospitality, manufacturing, healthcare and construction sectors. General health and safety advice and support to a wide range of clients via telephone, email and face to face. Health and safety audits and inspections of diverse environments and sectors. Ergonomic display screen equipment assessments, advice and guidance. Fire risk assessments and reviews. Development of bespoke health and safety policies and procedures, carrying out and advising on incident investigations, and supporting clients’ RIDDOR reporting requirements. Working with external regulators including the HSE, fire authorities and clients’ insurance brokers. Training: implementation of management systems such as HSG65. Chairing health and safety committee meetings.